A call to CSO Yachts brings news that Elisabeth Niek has the new 61m motor yacht Lyana available for charter in the Caribbean this winter. Delivered earlier in 2011 by Benetti, Lyana is fresh out of the box and offers accommodation for 12 guests in six staterooms: three doubles, two twins and a convertible cabin. 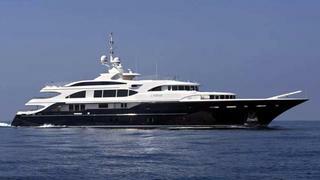 The crew to guest ratio is excellent, with 15 crew attending to every whim or fancy and she features all the latest toys, a professional disco on the top deck and an eight-person Jacuzzi. Weekly charter rates aboard Lyana start at $360,000 under MYBA terms.